Tooth whitening is an incredibly common procedure for those whose teeth have become excessively stained over time, or want to brighten their smile a bit. To whiten your teeth, we use light technology and a whitening agent. 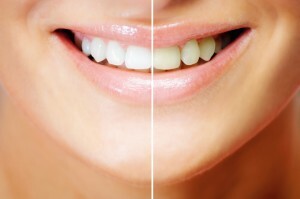 We only restore your teeth to their natural whiteness; making teeth whiter than is natural is called bleaching. Tooth whitening is not appropriate for everyone. We do not recommend it for children, or those with unhealthy or sensitive gums. Book in an appointment with us to talk about whether tooth whitening is for you!